Here are some updates on Focus on Energy renewable energy programs, from recent meetings of the Public Service Commission and meetings RENEW has had with Focus on Energy staff. All projects applied for by October 28th, 2014, will be receiving their cash-back reward for solar PV. It is expected that the $450,000 budget was exceeded by $200,000 or more, but the projects will be funded, and the extra funds will not be taken from other renewables funding. A project with a $400,000 grant in 2014 fell through, and the Commission directed that funding to be carried over to 2015 and used for renewable energy projects. Focus on Energy staff are anticipating issuing a RECIP RFP in early 2015. The budget levels, from RENEW's understanding, are that approximately $1.2 million should be available for RECIP projects that will be installed in 2015. We are working with Focus on Energy staff to determine a RECIP schedule for 2015 and 2016 so that all installers know the schedule that is forthcoming and can plan accordingly. The Commission will review the rebate and loan funding in mid-2016, to determine funding allocations for 2017 and 2018. $6 million digester program for smaller farms updateThis program is still being scoped out. RENEW is gathering some feedback from digester developers, and at this point we anticipate Focus staff working to get more information from digester companies and farmers on the barriers to adopting digesters and what information, research, or implementation needs exist to bring digester technology down to smaller farms. As more details emerge and opportunities for feedback become available, RENEW will be in touch. - Loan program will be largely based off Iowa's "Alternative Energy Revolving Loan Program"
- $2.5 million per year would be lent out for each of 2015, 2016, 2017, and 2018. - Lending partners - any lender can become part of the program. Lenders will do the financial / credit check review of the applicants. We will be working to get more details on this program and to make sure the industry is updated and has ample opportunity to ask questions and get them answered. Check out Mike Ivey's Interview of Ale Asylum co-owner Otto Dilba and the photos of Ale Asylum's new 100 kW solar electric system. Ale Asylum's array will be one of many 2014 renewable projects recognized at our upcoming Energy Policy Summit, titled Unlocking the Clean Energy Transition. Register for the 2015 Policy Summit Here! Ale Asylum co-owner Otto Dilba has always credited partner Dean Coffey for cooking up Hopalicious, Bedlam and the other recipes that have turned their brewery into one of Madison’s most-loved business start-ups. "He's the beer expert … I'm just the words guy," said the self-effacing Dilba when the pair launched their brewery in a vacant warehouse near the MATC campus in 2005. A native of Tomahawk, Dilba, 40, earned a degree in marketing from the University of Wisconsin-Madison in 1998 and worked for the hipster Planet Propaganda advertising firm before plunging into the beer business with Coffey. The two met while working at the now defunct Angelic Brewing Co. on West Johnson Street. Today, Ale Asylum is housed in an $8 million, 45,000-square-foot brewery and tasting room at 2102 Pankratz St. near the Dane County Regional Airport. By design, anyone flying in or out of Madison travels past the brewery. With 45 employees, Ale Asylum will produce over 20,000 barrels of beer in 2014 and has launched distribution into the Illinois markets of Chicago, Rockford and Champaign. By comparison, the New Glarus Brewing Company sold 146,000 barrels last year, making it the 17th largest craft brewery in the nation, but distributes only in Wisconsin. This month, Ale Asylum is partnering with SunPeak to install a 100 kilowatt photovoltaic solar system atop their building. Helped with a $75,000 grant through the state Focus on Energy program, Ale Asylum is looking both to lower its carbon footprint and cut its monthly bills with Madison Gas & Electric in half. Ale Asylum has already made sustainability efforts including offering spent grain to area farmers for animal feed, using heat from the brewing process for its tasting room and letting cold winter air keep its walk-in cooler at the proper temperature. The old line is that beer is cheap to make but expensive to move. Where do energy costs figure into the whole equation? That is a very interesting question. For any business, salaries are the biggest expense but after that for us it’s probably energy and ingredients. We wanted to add solar when we first opened in 2012 but the finances didn’t make sense. But the people at SunPeak helped guide us through the process of applying for the Focus on Energy grants which made it possible. Is the idea then just to lower energy costs or make a statement about sustainability while appealing to customers who care about the environment? We don’t spend our time worrying about what will appeal to anyone. That is a bad business practice no matter what business you are in. 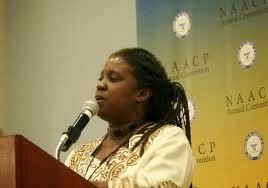 We just do what we do and try to do it right and hopefully people will attach themselves to that. Again, don’t care. To go into the thinking that it’s a good marketing gimmick is a terrible way to approach it. Solar is just one of the myriad of things that can help reduce our carbon footprint and our reliance on fossil fuels. We are told our monthly bills from MGE will go down by about half when we figure in all the incentives but this will only cover about 20 percent of our energy use. Ok, let’s talk about the beer. How is the expansion into Illinois going? It’s going great. Over the course of the first 12 months we’re at about 50,000 cases which is right around the mark we were looking to hit. When I say cases, that is somewhere around 2,250 barrels or about 10 percent of our overall production which will be about 20,000 or 21,000 barrels this year. What is the production capacity at Ale Asylum if you were to run 24-7? If we were to max out the building we could do about 50,000 barrels a year. But we have a south facing wall we could knock down if we wanted to get even bigger. So we are not going anywhere. Ever. I just don’t want to have to pick up and move that many tons of equipment again. Any thoughts on the corporatization of the craft brewing industry? I see that Anheuser-Busch just bought 10 Barrel in Bend, Oregon, and earlier they bought Goose Island in Chicago. I’m sure this must be a big topic within the industry. Our overriding philosophy is we would never let anyone else diaper our babies. When we were planning for our new location, I remember talking after a meeting with the head of the Madison Planning Commission and we were having a beer and sort of shooting the s--- and he asked “So what happens when Budweiser comes knocking?” and I said, “We’ll tell them to f--- off.” That kind of sums it up. Listen, for the guys at 10 Barrel or Goose Island, they’re good people doing good things. But they have their own philosophy and we have ours. We would stop distributing and just become a brew pub before we would ever sell out to Bud. What Budweiser and these big breweries used to do was buy these small breweries and bury them in their lineup and crush them and destroy them. I guess they have figured out that it is not a business plan that works. So hopefully now they buy them and then let them do what they do, in addition to offering them the distribution channels and tutelage they didn’t have before. I hope that is the case and I think it is. I think that comes down to an individual perspective so it depends on the consumer. Some won’t care. Some will have that exact thought process. Personally I don’t think it should matter whether the product is beer or horseshoes. If it’s good, it’s good. I mean at Goose Island, it’s still local people, working hard, doing their thing, caring about what they do. It’s not about Budweiser coming in and saying “You need to do this.” It’s more about keeping their hands off and giving them the tools and more access than they had before. For them, maybe that isn’t a bad thing. Unfortunately some people make the mistake of thinking that just because you get larger you care less about the things that matter most. Look, we don’t care any less about quality. It’s always been about the beer. Every day of every week we are looking to get better. To suggest that because we are at 20,000 barrels instead of 2,000 barrels we care any less is just wrong. Where do you see the industry going then? Craft beer is 7 or 8 percent of the market now. Will we continue to see the growth or do you see it leveling out at some point? It’s grown every year for 30 years and never had a down year and it’s not going to because once you develop a taste for craft beer you are not ever going to go back to the swill. You just don’t. It’s like when you were in college having your bologna sandwiches and you discovered for just a little bit more money you could get fresh deli meat. When was the last time you bought bologna? Life is too short to drink cheap beer, right? I agree 100 percent on that one. If I have to pay for it, I want to enjoy it. But seriously, it’s never going to go down because the trough we are pulling people from — Budweiser, Miller and Coors — is enormous, it’s huge. They lose a 10th of one percent and that is hundreds of thousands of barrels spread across the craft beer industry. So there is so much room for growth. Finally, I see you are going to roll out a new seasonal each month in addition to your regular lineup. We’ll start in mid-January with the first one. It’s called Velveteen Habit. It’s an IPA and a lot of people have described us as the "hopheads" brewery so I figure they will enjoy an IPA from us. We’ll try not to mess it up. The sun is shining a little brighter this December on two church congregations in the Schenk-Atwood neighborhood. 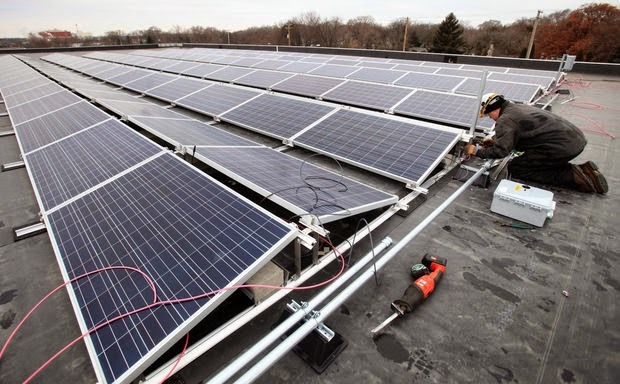 Zion Lutheran and Trinity Lutheran churches are commissioning rooftop solar photovoltaic arrays that, once energized, will help power good works in and around Madison’s East Side. Trinity Lutheran Church, 1904 Winnebago Street, will host a post-Sunday service ceremony on the winter solstice, December 21st, starting at approximately 10:30am. Pastor Susan Schneider will deliver a blessing upon the 19.9 kW solar project, followed by a ribbon-cutting ceremony featuring local solar developer Kurt Reinhold and RENEW Wisconsin’s Michael Vickerman. For more information, contact Michael at mvickerman@renewwisconsin.org or call (608) 255.4044x2. Zion Lutheran Church, 2165 Linden Avenue, near Atwood Avenue, held its ribbon-cutting ceremony on December 17th. Intern pastor Stacy Gahlman-Schroeder led the dedication ceremony, followed by Pastor Jeff Wild from Advent Lutheran, which donated the panels to Zion. Both Zion and Trinity’s installations should be fully energized before the weekend. Both churches are combining solar with efficiency improvements to maximize the value of the energy they use while at the same time improving public health, reducing environmental pollution, and cutting operational costs. Background. Sustainable Atwood’s Solar Program helped bring the parties together for each of these two churches as part of its mission to move the neighborhood in the direction of a cleaner and more sustainable energy future. Zion Lutheran now hosts the offices of Sustainable Atwood’s community operations, and became the spark for this joint venture. Until recently, the solar panels now on Zion’s parish roof graced a Madison west side church—Advent Lutheran, off Old Sauk Road. 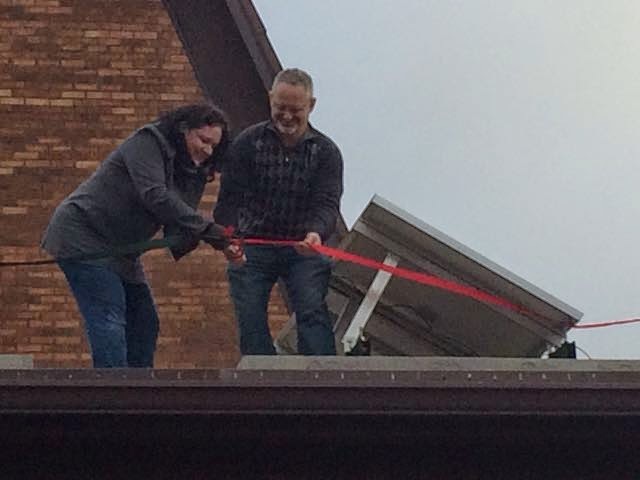 When it commissioned its 2.8 kW PV system in late 2002, Advent Lutheran became the first solar-powered church in Wisconsin. These panels were taken down in 2013 when Advent’s roof was replaced. Instead of putting its 12-year-old photovoltaic system back on its roof, Advent’s congregation decided to acquire a much larger array, which was installed and commissioned in July 2014. Instead of selling their 18 panels, which even after 12 years will operate at 94% of their original productivity, Advent donated them to Sustainable Atwood. Burke and Mark O’Neal, the brothers who own the solar contracting company Full Spectrum Solar on East Washington Avenue, are sponsors of Trinity Lutheran Church’s solar project, which consists of 78 panels atop the south-facing roof along First Street. Members of the congregation and community residents can support this project through Sustainable Atwood’s Switch-to-Solar program. For more information on this and other community solar projects, please contact Solarconnections@gmail.com. RENEW Wisconsin will host its fourth annual Renewable Energy Policy Summit on Friday, January 9th, 2015 at UW-Madison’s Union South. The theme of the event, "Unlocking the Clean Energy Transition," will highlight the importance of renewable energy to Wisconsin's economy. The early-bird registration deadline is Saturday, December 20th. Brad Klein, Senior Attorney at the Environmental Law & Policy Center, will kick off this year’s program. Brad will cover the recently concluded utility rate cases, and the Iowa Supreme Court ruling in 2014 which allowed third-party financing of solar. Jigar Shah, President of Generate Capital and founder of SunEdison, will deliver the afternoon address. Widely known as a clean energy visionary, Jigar will offer his perspective on the emerging opportunities for powering the economy of the future with clean energy’s impact on the economy. A morning panel of state and local policymakers will discuss targeted efforts to advance renewable energy options as state energy policy evolves. The panel will feature Representative Chris Taylor (D-78 Madison) and Matt Howard, Sustainability Director for the City of Milwaukee. Additional legislators and local officials have been invited. A lunchtime presentation on Vernon Electric Cooperative’s trail-blazing community solar installation, located alongside its headquarters in Westby. Following the afternoon keynote, an awards ceremony will recognize the most noteworthy installations energized in 2014 and honor Wisconsin leaders in renewable energy. RENEW Wisconsin’s Executive Director Tyler Huebner says, “We chose this year’s theme to highlight the tremendous economic development potential for Wisconsin from harvesting more of its own home-grown energy sources, and contrast it to the current uphill battle many renewable energy businesses currently face in this state." The early-bird deadline for registration is Saturday, December 20th. Early-bird rates are $85 for Members of RENEW Wisconsin and $110 for non-members, and rates will go to $95 and $125 respectively after the deadline. The rate for government employees is $85 and for students is $35; these two rates won't change with the deadline. Membership with RENEW starts at $35 for individuals and $200 for businesses and organizations. 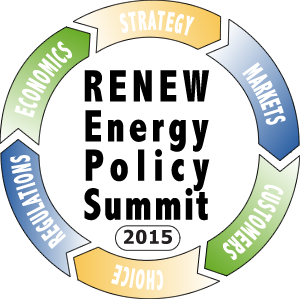 For more information on the 2015 program agenda, speakers, and registration, please visit www.renewwisconsin.org/2014_Summit/. In a 2-1 decision on Wednesday, November 26, 2014, the Public Service Commission approved Madison Gas & Electric’s request to increase monthly fees for all customers starting in 2015. For residential customers, electricity service will cost $19 each month before using any energy, and natural gas service will cost $21.87 each month before using any gas. For a residential customer with both electricity and gas, monthly fees will go from $22.61 up to over $40. Commissioners Phil Montgomery and Ellen Nowak, as they have for Wisconsin Public Service and We Energies in recent cases, supported these changes, while Commissioner Eric Callisto disagreed and would have limited these increases while opening a broader discussion on the topics. · Overall residential customers for electricity will see on average an increase of about 3.5%. Small commercial customers will have an increase of about 1%, while larger business and industry customers will see a higher increase of around 4%. · Customers who subscribe to “Green Power Tomorrow,” the voluntary program where customers pay extra to participate in renewable energy projects, will pay less for that service. The premium price will be reduced from 4 cents per kilowatt-hour down to 2.44 cents per kilowatt-hour. · Chairperson Montgomery offered some advice to MG&E on the collaborative process they intend to have with customers and communities they serve. o Approaches such as the “value of solar” are not needed because the current wholesale market sets the price. o Any extra electricity created, but not used, by those distributed generation systems should be paid at the wholesale market price, which is in the range of four cents per kilowatt-hour, instead of being credited at retail rates which are closer to 13-14 cents. The Commission voted not to approve a separate arrangement that would shield low-income customers from these fixed rate hikes. 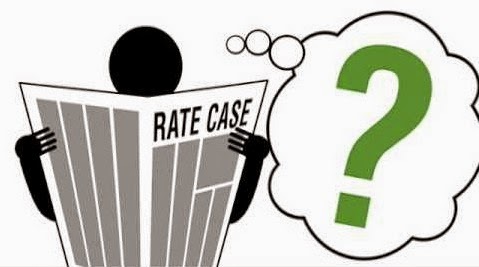 Therefore, all customers will be exposed to the fixed rate increases in 2015.